Captain John Handy was an early New Orleans traditional jazz, blues, and rhythm and blues alto saxophone player. “Captain” John Handy was an early New Orleans traditional jazz, blues, and rhythm and blues (R&B) alto saxophone player. Though born in Mississippi, Handy spent the majority of his life in New Orleans, leaving an indelible mark on the city’s music scene. From the 1930s to the 1960s Handy performed with his own band, the Louisiana Shakers, as well as with Punch Miller, Kid Rena, Kid Howard, Big Jim Robinson, Kid Clayton, Kid Thomas Valentine, and Kid Sheik Colar. In 1970 Handy performed at the Newport Jazz Festival along with Louis Armstrong and a host of other all-star Eureka Brass Band and Preservation Hall Jazz Band players. 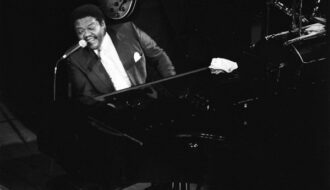 The year 1970 would also see Handy headlining the very first New Orleans Jazz & Heritage Festival, where he shared top billing with Mahalia Jackson. John Handy was born in Pass Christian, Mississippi, on June 24, 1900. Both of Handy’s parents were musicians; his father, John Handy Sr., was the head of a family band that included Handy’s younger brothers, Julius and Sylvester. A multi-instrumentalist from an early age, Handy became proficient at guitar, mandolin, and drums as well as clarinet, the instrument upon which he first made his name as a performer. By age fifteen Handy was the standout act in his family’s band, and by sixteen he had moved to New Orleans. 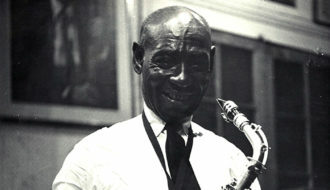 During the 1920s he performed often in both New Orleans and Baton Rouge, playing clarinet in pick-up bands with Punch Miller and Kid Rena, among others. 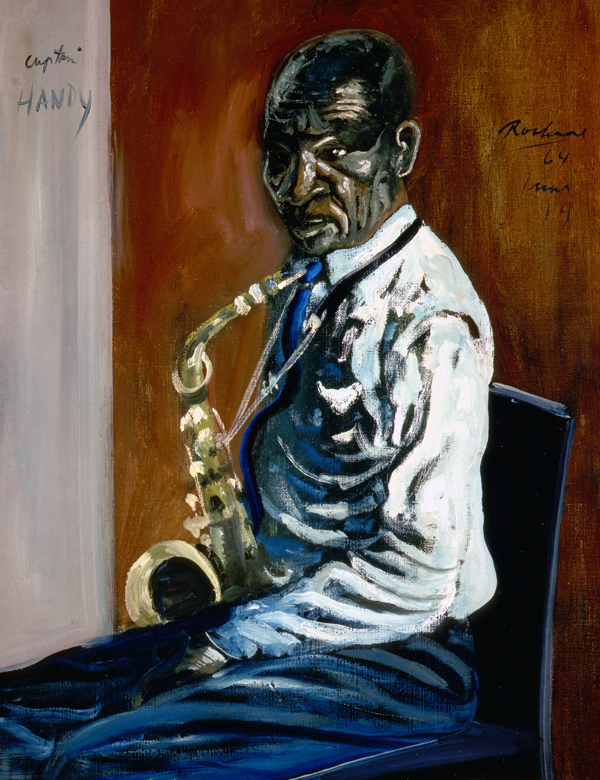 In 1928 Handy took up the alto saxophone, and in 1932 he embarked on a tour of the South with the Louisiana Shakers, a band that included his brother Sylvester. The 1930s were a period of growth for Handy as a musician, and he made a name for himself performing with Kid Howard, Big Jim Robinson, and Lee Collins during this time. The year 1938 would find Handy performing in St. Louis with jazz trumpeter Charlie Creath. 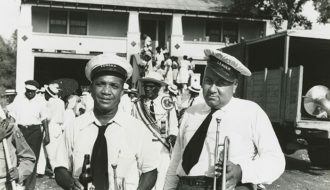 Handy soon returned to New Orleans, and in the 1940s he was a regular performer with the Young Tuxedo Brass Band. In the 1950s he performed with Kid Clayton, and in 1961 he joined forces with Kid Sheik Colar, with whom he would tour England in 1966 with drummer Barry Martyn’s band. From 1960 until his death, Handy would record at least ten records, many of which are now considered classics of the genre. 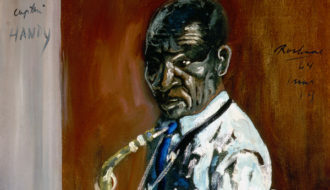 Handy’s solos on the tracks “Hindustan” and “Ice Cream,” and his aggressive, raw blues solo on “Cap’s Blues” are often considered among his standout recorded performances. 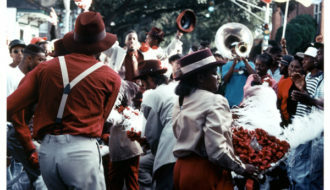 The 1960s would also see Handy tour extensively with the Preservation Hall Band, including a tour of England and Japan. In 1967 Handy recorded his own album for RCA, Introducing Cap’n John Handy. He performed at the Newport Jazz Festival in 1970, only nine months prior to his death. Captain John Handy died in Pass Christian, Mississippi, on January 12, 1971. 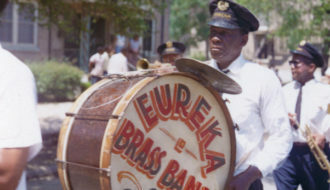 He was honored with two jazz funerals—one in New Orleans and one in Pass Christian. Hobbs, Holly "Captain John Handy." In https://64parishes.org Encyclopedia of Louisiana, edited by David Johnson. Louisiana Endowment for the Humanities, 2010–. Article published December 3, 2013. https://64parishes.org/entry/captain-john-handy. Berry, Jason, Jonathan Foose, and Tad Jones. Up from the Cradle of Jazz: New Orleans Music since World War II. Lafayette: University of Louisiana at Lafayette Press, 2009. Ellis, Dan A. Jazz In the Pass: Spirit of John Handy. Pass Christian, MS: CreateSpace, 2011. Hannusch, Jeff. The Soul of New Orleans: A Legacy of Rhythm and Blues. Ville Platte, LA: Swallow, 2001. “John Handy.” Oral history transcripts, 1958–1970. Hogan Jazz Archive, Tulane University. Martyn, Barry, Mick Burns, and Bruce Boyd Raeburn. Walking with Legends: Barry Martyn’s New Orleans Jazz Odyssey. Baton Rouge: Louisiana State University Press, 2007.